The price of crude oil has dropped 17 percent since the beginning of the year, reaching a 12-year low of $30 a barrel. That’s good news for US consumers, but the oil industry is ordering layoffs, and shale companies could be on the verge of bankruptcy. On Tuesday, the price of crude oil fell another 3 percent to $30.44 a barrel, according to The Associated Press. 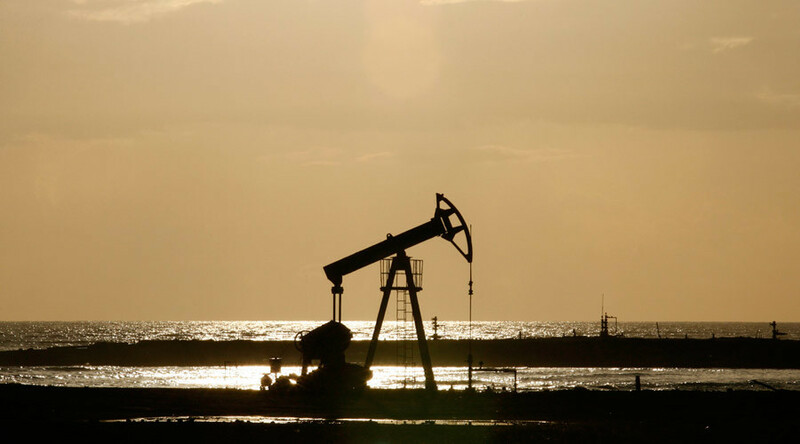 “All you can do is forecast direction, and the direction of price is still down,” Larry Goldstein of the Energy Policy Research Foundation, who predicted a decline in oil in 2014, told the AP. World oil markets are seeing a historic supply glut as production has increased in the United States, largely due to drilling techniques such as fracking and horizontal drilling. Additionally, the Organization of Petroleum Exporting Countries (OPEC) has continued to wage a price war it began in 2014 with low-cost producers in the US and elsewhere through unabated production. The glut has also been caused by falling demand for oil due to China’s slowing economy. Earlier on Tuesday, Nigeria’s oil minister said that some OPEC countries had requested an emergency meeting to consider supply cuts, Reuters reported. The idea, however, was later rejected by the United Arab Emirates, sending prices tumbling. “I don’t think it’s fair to ask OPEC” to unilaterally cut production, said UAE Energy Minister Suhail Mohammed Al Mazrouei, adding that OPEC’s strategy is “working,” according to CNN. Many OPEC countries are still making money at $30 a barrel, but others are losing. Nigeria’s production costs are estimated at about $31 a barrel, for example. Lower prices in the US are leading to lower prices for gasoline, diesel, jet fuel and heating oil, giving drivers, shippers, and many businesses a big break on fuel costs. The national average retail price of gasoline is currently $1.96 a gallon. For the average US household, this means savings amounting to more than $700 a year, according to the Energy Information Administration. However, since oil is paid for in dollars, a simultaneous appreciation in US currency has made oil more expensive elsewhere around the world, fueling the slump further. The macroeconomic effects of falling oil prices vary by country and over time, but importing countries such as China, Japan, and the US tend to gain, while exporting nations such as Russia, Saudi Arabia, and Venezuela lose, as their governments’ revenues are squeezed. Airliners, as big users of jet fuel, have been recording record profits, while shippers and other businesses are also saving from cheaper energy. For US companies, less expensive fuel leads to more capital investment and more hiring. However, falling oil prices reduce the profitability of oil extraction which, in turn, impacts drilling activity. In the early part of last year, the US’ rig count was down 850 from the year before, while about 17,000 oil and gas workers in the US lost their jobs in 2015. When adding the oilfield support jobs lost in refineries and petrochemicals, the actual number of related layoffs grew to about 87,000, according to Michael Planet, an economist at the Dallas Fed. The Dallas Fed said this could adversely affect employment in eight states: Alaska, Louisiana, North Dakota, New Mexico, Oklahoma, Texas, West Virginia, and Wyoming, while putting a squeeze on their budgets. Alaska derives 80 percent of its tax revenue from oil and gas, and North Dakota nearly 50 percent. On Monday, CNBC reported that half of the shale gas drillers could go bankrupt, since fracking is more expensive than extracting gas through conventional wells. “Half of the current producers have no legitimate right to be in a business where the price forecast even in a recovery is going to be between, say, $50, $60. They need $70 oil to survive,” Fadel Gheit, senior oil and gas analyst at Oppenheimer & Co, told CNBC. On Tuesday, BP announced it will cut 4,000 of its approximately 24,000 worldwide positions in its exploration and production units this year. That’s in addition to the roughly 4,000 jobs that the company cut last year, when it trimmed its work force to about 80,000.